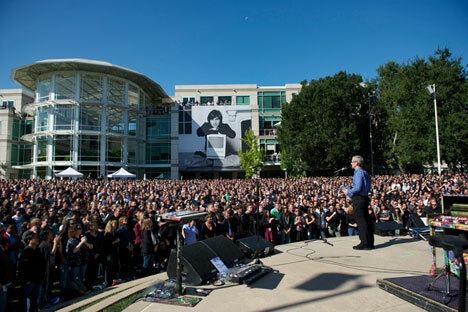 Apple just published the video of the tribute to Steve special event at the Apple Campus on October 19, 2011. So kind, that the Apple folks are sharing the event with us. Thanks. It’s really moving.